A pervert who repeatedly abused a child then prolonged her agony by retracting his guilty pleas has argued his jail sentence is too long. 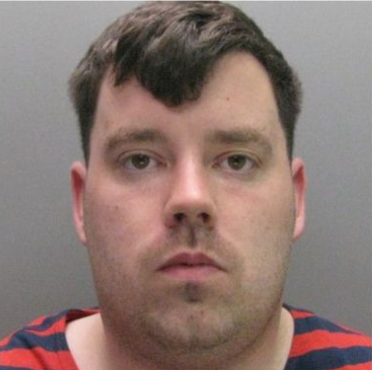 Jamie Lee Collins was locked up for eight years at Durham Crown Court after admitting six counts of sexual assault and three of causing a child to engage in sexual activity. The 31-year-old, of Bramwell Road, Sunderland, also pleaded guilty to charges of voyeurism and making indecent photos of a child, Mrs Justice Cutts told London’s Appeal Court on Friday. Collins molested the girl and put her hand on his private parts as well as filming her on his mobile phone. He was found to have four indecent images of children, not related to the victim of the other offences. And after admitting his crimes, Collins changed legal team and tried to go back on his guilty pleas, but that was refused. His change of heart caused his victim a “roller coaster of emotion and prolonged agony”, said Mrs Justice Cutts. He continued to deny his guilt to a probation officer, instead blaming the victim. But lawyers for Collins argued his jail term was far too tough and should be reduced. They pointed to his previous good character and argued he should have got more credit for pleading guilty. He had started his own computer business “from scratch” and made it into a “successful enterprise”, the court heard. “Collins was entitled to and should have received some small credit for his guilty pleas,” concluded Mrs Justice Cutts. The appeal judge, who was sitting with Mr Justice Jeremy Baker, reduced Collins’ jail term from eight years to seven-and-a-half years. A man who groomed and abused an underage girl, telling her he was, “her man”, was jailed for eight years. Jamie Lee Collins sexually interfered with the girl over three months, during which he also furtively filmed her leaving the shower. Durham Crown Court heard that when she discovered the footage on his phone she challenged Collins, but he passed it off, saying he was “just messing about”. Jane Waugh, prosecuting, said on his arrest, after the girl revealed what had taken place, police found indecent images of other children on his home computer and discovered he had made searches for websites relating to voyeurism. Collins, 31, of Bramwell Road, Sunderland, initially made denials over his activities,, but, shortly before his scheduled trial, last October, he admitted nine counts of either sexual assault or causing a child to engage in sexual activity, plus one each of voyeurism and making indecent photos of a child. But he subsequently sacked his legal representatives and tried to vacate those guilty pleas, an application which was rejected at a court in Carlisle, last month. The sentencing hearing was told of the massive impact his offending has had on the victim, whose school work and exam results have suffered as a result. Jailing Collins, Judge Christopher Prince said he “prolonged the victim’s agony” by trying to vacate his earlier guilty pleas.